Shining the light and love of Jesus! 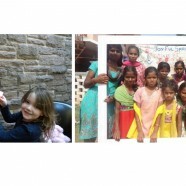 A massive thank you to all who have helped in the “Send Love” appeal to help 150 children from three children’s homes in India have a Fun Day. The children from King’s Club, Quest and Toddler Group have raised £65.24 by collecting 1p and 2p coins. Lots of goods were donated to the charity stalls to be sold for this cause, cakes were sold at the toddler group and there were numerous donations through the “Send Love Post box”. The total amount raised came to £820!!! The fun day will take place on 1st April. To find out more about the charity that is organizing the day and to see photographs visit wowuk.org and on Facebook search for wow world of worth.